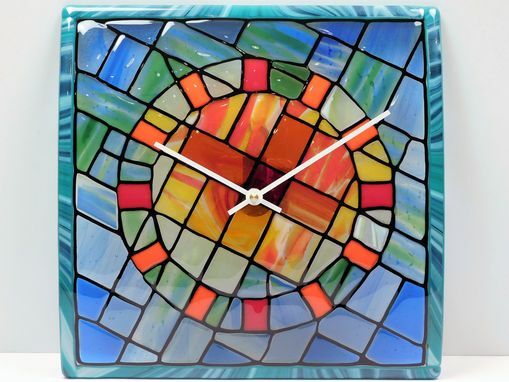 When you look at this clock you definitely recall how stained glass windows look like: various color glass pieces connected to each other by dark led lines. 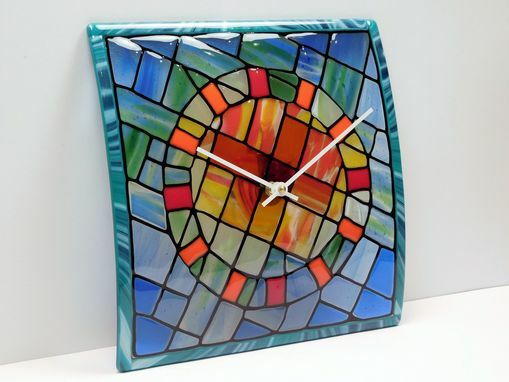 Colors used in this clock make an illusion of a sun or light shining behind this "window". 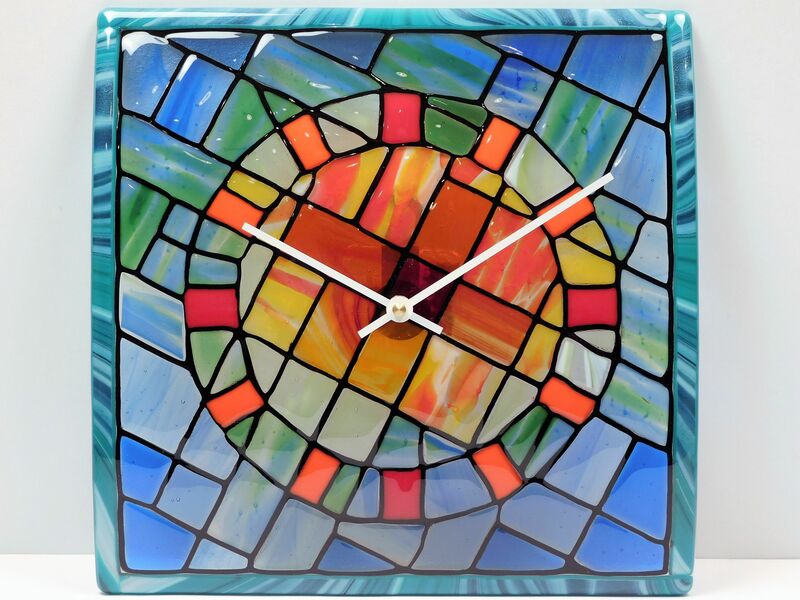 ​Small red rectangles corresponding to each hour made from an iridized glass and reflect light differently. As a result their color changes from red to purple and to gold depending on the view angle. 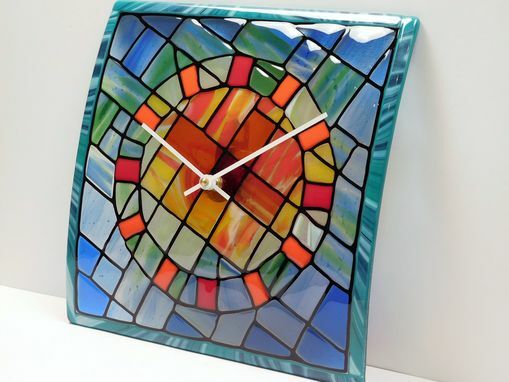 ​This clock has a curved shape. Every maker has a story. Be a part of Games Of Colors's story by placing an order, leaving a review, and seeing your review appear here.